The go-to guide for the practice of sustainable urbanism, updated to include new case studies and analytic tools. 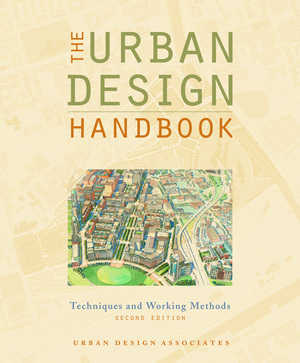 This invaluable guide, brought up to date in its revised edition, offers an introductory course in urbanism and provides an operations manual for architects, planners, developers, and public officials. 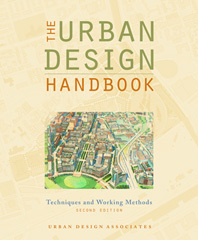 Based on Urban Design Associates’ in-house training procedures, this unique handbook details the techniques and working methods of a major urban design and architecture firm. Covering the process from basic principles to developed designs, the book outlines the range of project types and services that urban designers can offer and sets out general operating guidelines and procedures for: developing master plans, including techniques for engaging citizens in the design process and technical analysis to evaluate the physical form of regions, cities, and neighborhoods; preparing implementation tools such as pattern books, form-based codes, and design guidelines to guide the development of projects throughout the life of construction; implementing contextual architectural design, including methods of designing culturally and environmentally appropriate buildings that reinforce the urban design intent within specific areas of the master plan.